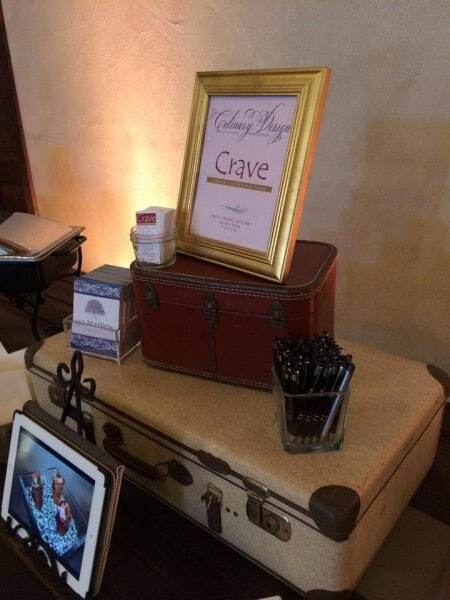 The Grand reveal party was a great hit, and Crave Catering was so happy to be a part of it. Ma Maison, Wedding + Event Venue is open for business, and is ready to host your event or wedding in the beautiful hill country. 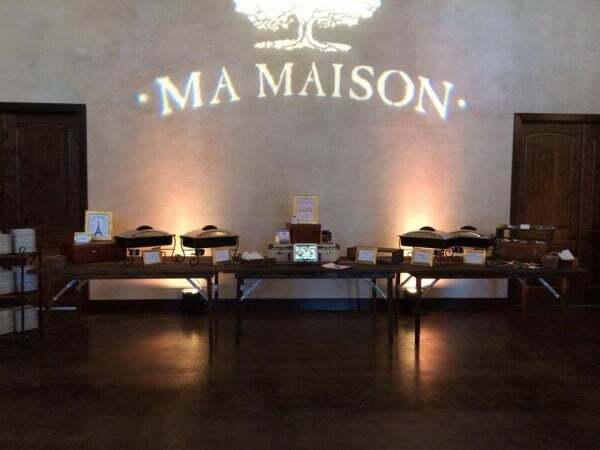 French for “my home”, Ma Maison is a unique venue that resembles the Provence-like region of southern France with the feel of that special southern hospitality we in Texas know and love. 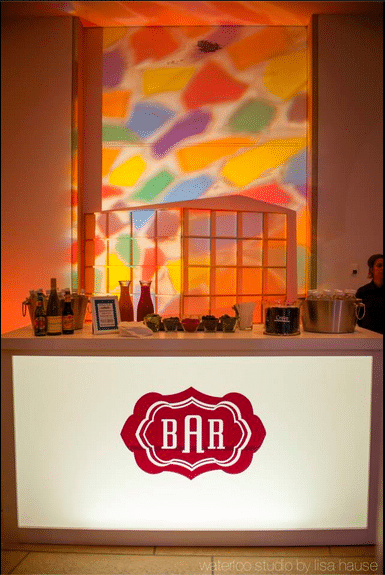 The evening was lovely and featured our specialty champagne bar adorned in ice by the great Full Spectrum Ice Sculptures. 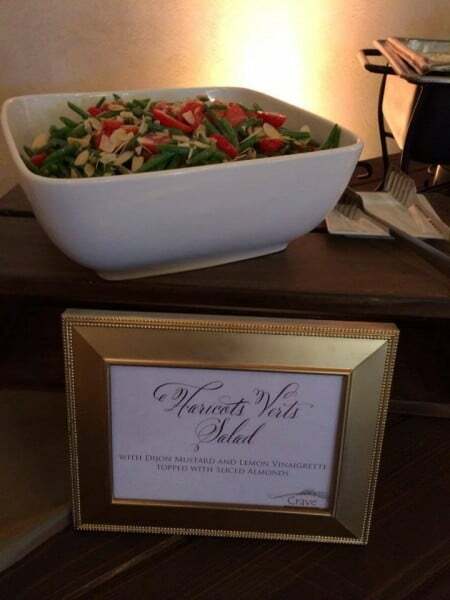 Some of the menu items we featured were duck confit, savory crepes, cauliflower gratin and a fresh salad nicoise. Check out some of the photographs of the open house! 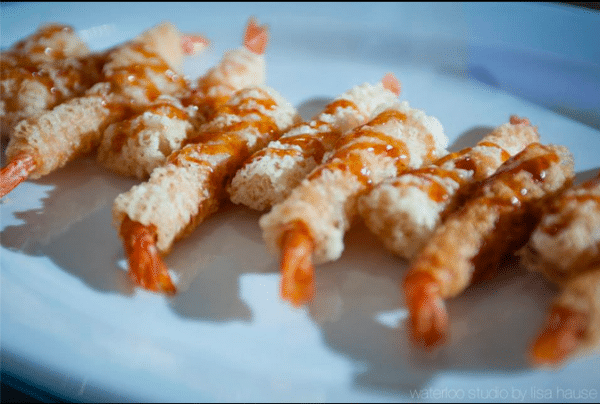 This Munchie Monday is a simple passed appetizer or hors d’oeuvre that is simple yet elegantly tasteful. 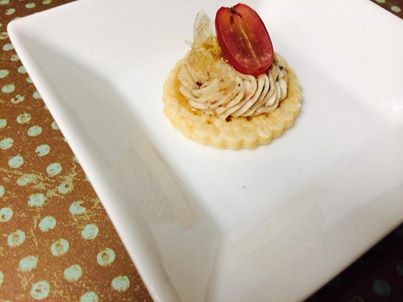 It combines savory and sweet with Stilton and bacon cheese spread on a cracker topped with honeycomb and a red grape. 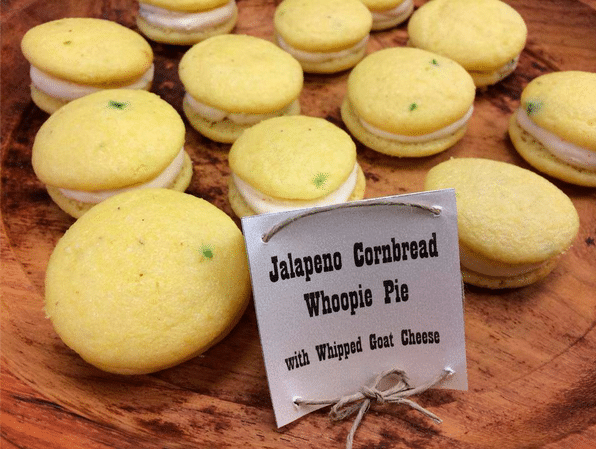 This one is a hug hit, I know we’d eat dozens at a time if we could! 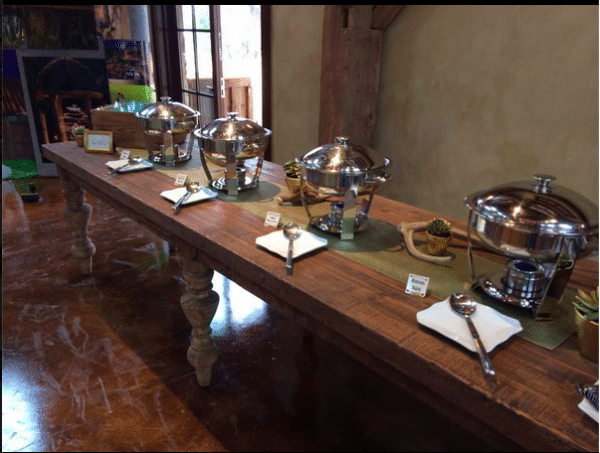 Last week we attended the marvelous opening of Branded T Ranch, a gorgeous new venue just outside of Austin in Kendalia, Texas. 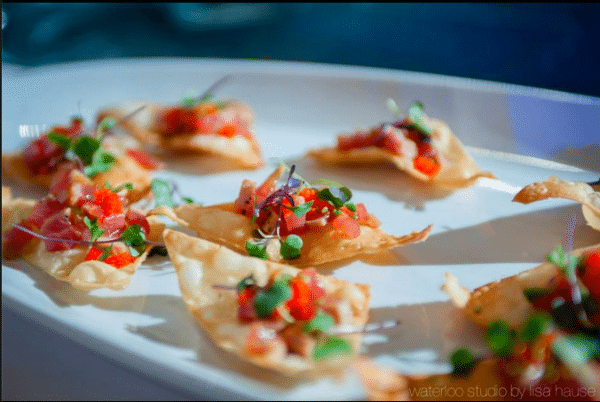 The open house featured tours of the property as well as samples and demonstrations from neighboring vendors including Cupcake Bar, Altared Weddings and Terra Vista Strings. 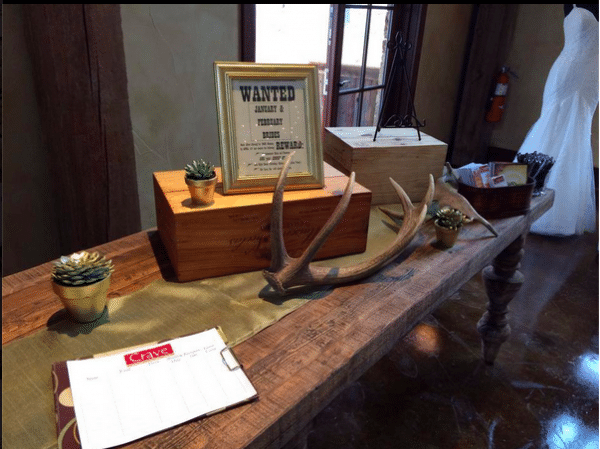 For a list of the other great vendors that attended, check out the Branded T Ranch website. 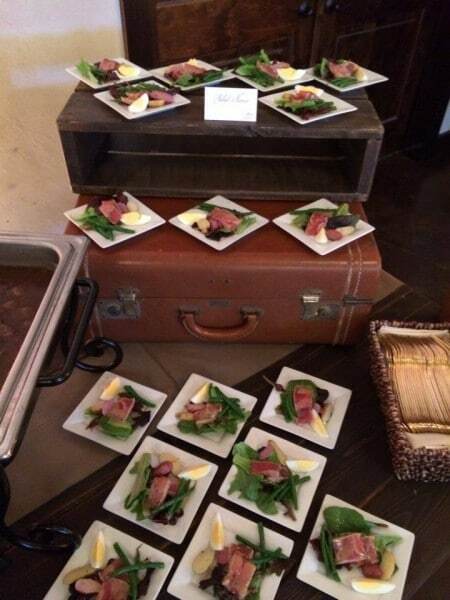 We wanted to feature some of the dishes we have prepared for past clients on our blog. 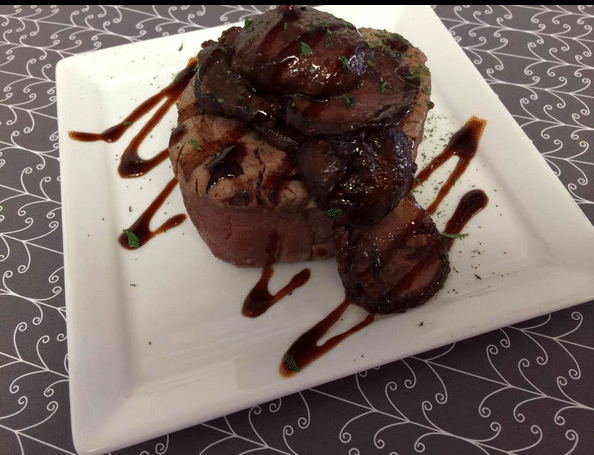 This dish is simple yet combines the rich flavors of baby portabella mushrooms with a nice balsamic glaze. The beef tenderloin is grilled medium well and garnished appropriately. 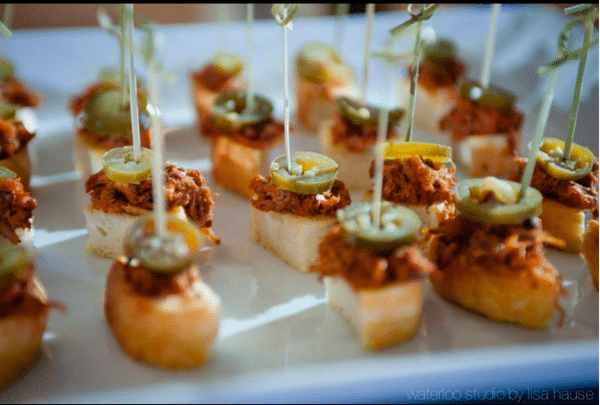 A perfect dish for a rehearsal dinner or a sit-down wedding reception! Happy Valentine’s Day from Crave Catering! Sending lots of love to everyone on this warm and sunny Valentine’s Day! 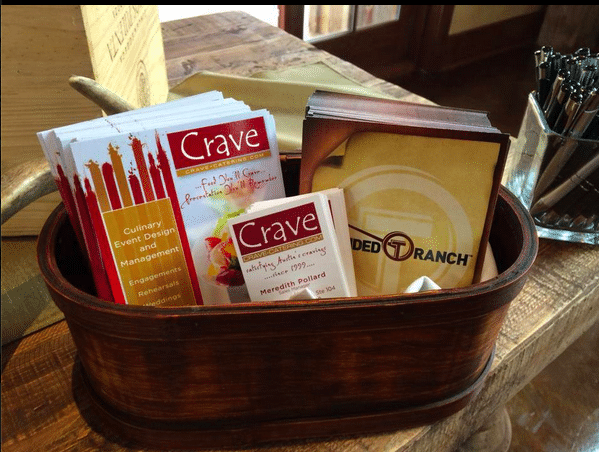 Have a wonderful weekend from the Crave Catering Team! What a wonderful evening spent at the Blanton Open House last week. 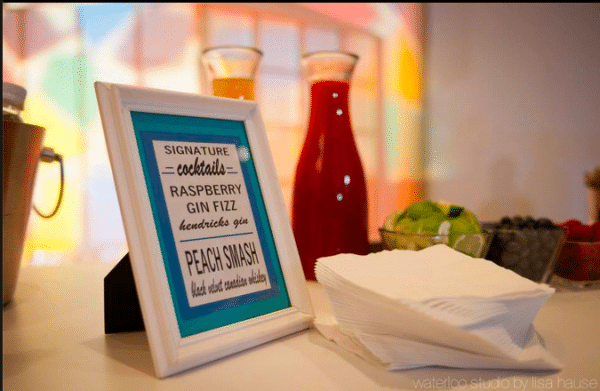 Walls displaying masterpieces of art along with our specialty cocktails and passed appetizers. The atmosphere was modern, sophisticated and splendidly enjoyable. A thanks to Waterloo Studio by Lisa Hause for the magnificent pictures! Valentine’s Day is fast approaching– have you made plans with your special someone yet? Austin is chalk full of creative ideas to treat your valentine to something special, sweet and exciting. Heck, you might not even be into this holiday at all but don’t fret, there’s still stuff to do all weekend long. Check out what’s going on in town! Enjoy the native band at our favorite BBQ joint. Doors open at 8pm. Open to all ages. Come get your 80’s dance on at Barbarellas for Foot Loose Friday. Awesome DJ, sick tunes and drinks galore. Put on your dancing shoes! 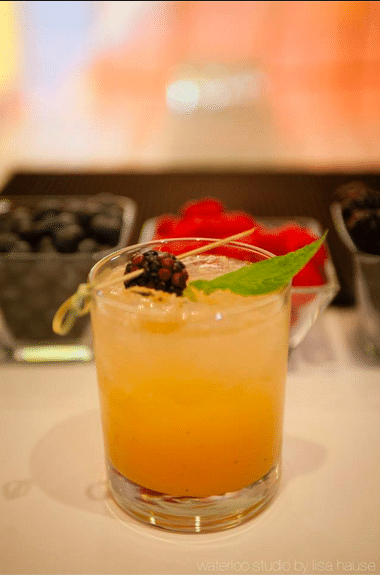 Spend Valentine’s night at the Speakeasy for our 6th year of celebrating all that is love and heartbreak. Let these sultry sirens seduce you; singles and couples alike will feel the heat! A flick with your loved one is one of our favorite past times– especially one with Humphrey Bogart and Ingrid Bergman. Here’s to lookin’ at you kid. 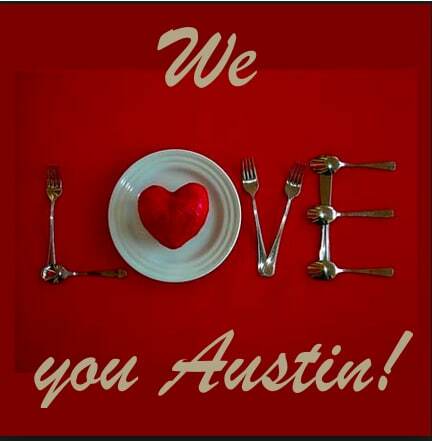 So whatever you plan to celebrate, whether it’s love, heartbreak or your fine single self go out and Keep Austin Weird! 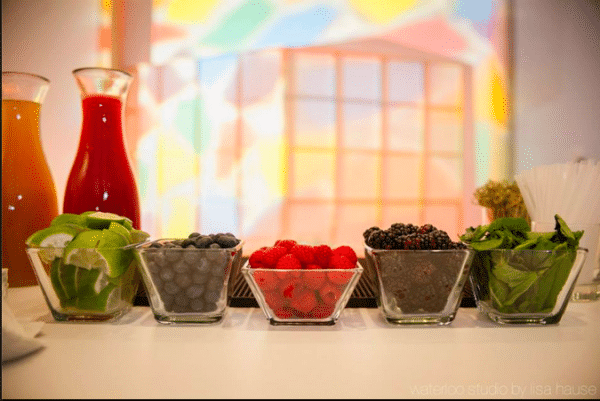 Our Latest Open House Appearance! 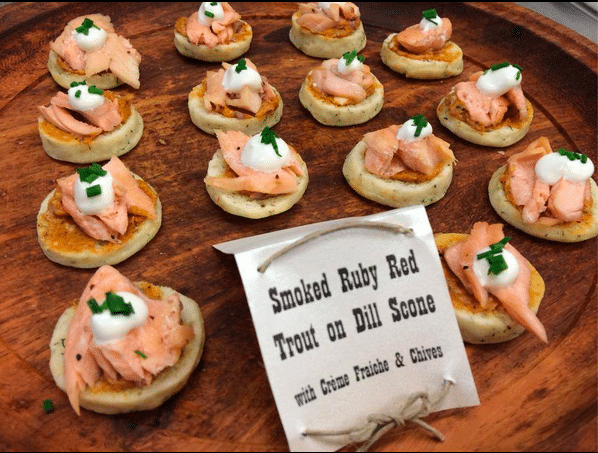 Last Tuesday we attended a lovely open house where we showcased some menu samples for everyone to indulge in. Although the weather outside was frightful, the nice and toasty environment at The Plantation House was delightfully lit by a warm fireplace. We had a wonderful time and enjoyed great music by harpist Dian Repp alongside Simon Lee Bakery and Luanna Clara Design/ The Plantation House. A thanks to everyone that came out!